Will Holloman knows the rules. Crying: Don’t. No matter what. Don’t. Snitching: Don’t. No matter what. Don’t. After his older brother, Shawn, is gunned down, the rules now fall to Will’s shoulders…the forbidden broken middle drawer calling his name. Finding the lethal piece within, he tucks it down the back of his pants and steps into the elevator, beginning the long way down seven floors. Ripped from the headlines issues of gangs and gun violence immediately grab attention, and the thought-provoking dilemma Will faces is highly compelling. The dialect-filled writing is genuine and supports the gritty nature of the story and authenticity of the characters. The elevator ride takes place in a 60 second time frame. The intense pace heats up with visitors from the past boarding at each floor as the elevator stops, in the vein of Dickens’ A Christmas Carol. Suspense escalates as readers wonder what Will’s choice will be when they reach the ground floor. Is 60 seconds enough time for him to reflect on the impact his actions could have? The rhythmic, staccato verse enhances the story and propels even the most reluctant of readers forward. 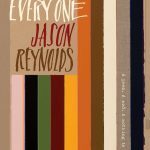 Reynolds masterfully tackles the issue of gun violence that cannot be ignored in today’s world. 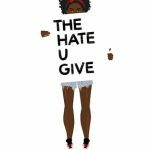 Long Way Down is a must read for fans of The Hate U Give by Angie Thomas, The Stars Beneath Our Feet by David Barclay Moore, and Dear Martin by Nic Stone. The daughter of the pirate king is held prisoner on a rival pirate lord’s ship, but all is not what it seems in this high seas tale. A swashbuckling romance that sweeps you in from the first page. Alosa is a strong heroine that readers will enjoy getting to know. Twists and turns are cleverly revealed but not hard to follow. 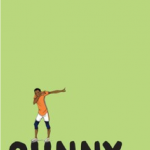 An adventurous read for younger teens. Hand this title to fans of the Bloody Jack series by L. A. Meyer. If the slightly disturbing cover doesn’t attract reluctant readers, the gaming subject matter will certainly pull them in. Josh and his father have left the big city of Chicago to move to a boring small town, and that means Josh has left his best friend/love interest behind. That makes the computer game, Killswitch, all the more appealing. It’s a great game that allows participants to modify it…and someone has. Inside Killswitch is an exact replica of the small town in which Josh lives populated by creepy copies of every person in the town–avatars that look like they have had photos copied and pasted onto avatar bodies. It’s not enough for Josh to go through that world, he wants to make changes to it, so, with the help of his erstwhile best friend and uber hacker from Chicago, he overrides the administrative rights on the town and begins to add to it. What follows is a chain of events that alienates Josh from his one friend in his small town and potentially makes him an accessory to a planned bombing. Don’t let the hi-lo format fool you. Though the story gets a little rushed at the end, Rodman spins an engaging tale that continually ups the ante for his main character. This short book packs a lot of big ideas into a plot that is perfectly palatable and appropriate for reluctant readers in both middle and high school. When we first meet Marjorie, she and her friend Bernadette are fighting Nazis in the street. In Detroit at the beginning of the Cold War, the “Nazis” are Bernadette’s little brother, who would rather be Al Capone. This slice-of-life novel sees the prejudices and misconceptions that prevailed in a time of political stress in America through the eyes of a young girl who believes deep-down that people are good, but hears every day from her family and her friends that there are enemies all around. As she navigates snow drifts and ethical quandaries, Marjorie teaches us a lot about love and trust and learning to think for yourself. Give this well-written and very accessible historical fiction to young teens who enjoy a good mystery. Skip O’Rourke thought he finally left his thieving weasel relatives behind him. He has gone legit, using his “good” name, Cameron Smith, to attend an elite school and get into Princeton. That is, until he is pulled back into the family business for one last heist. Fast pace with lots of action and dialog. A single point of view and linear storyline makes this story easy to follow. A fun novel that will appeal to teens who like crime stories that feature con men and mobsters. Give this to readers who enjoyed Con Academy by Joe Schreiber, Heist Society by Ally Carter or Son of the Mob by Gordon Korman. Previous Post #QP2018 Nominees Round Up: More Nonfiction!